Coal Tattoo readers have probably gathered that I’m not a big fan of Bray Cary’s newspaper, The State Journal. But I happen to think Pam Kasey over there does great work covering energy and the environment. And I’m fascinated by some comments that their reporter, Gretchen Mae Stone, had in a story last week. (Thanks to West Virginia Blue for bringing them to my attention). 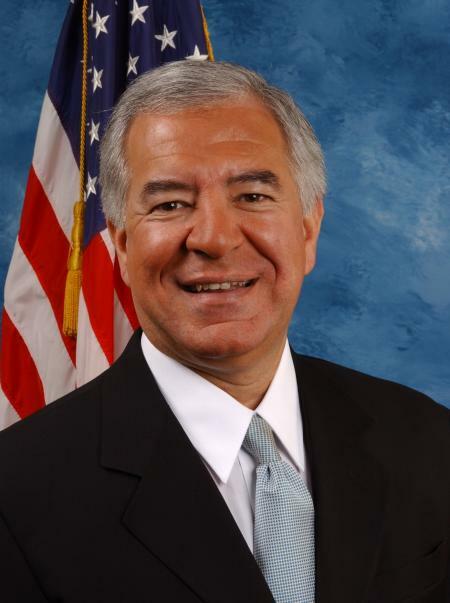 Rahall said the stateâ€™s most productive coal seams likely will be exhausted in 20 years. And while coal will remain an important part of the economy, the state should emphasize green job development. That, he said, is especially important as pressure against mountaintop mining increases. 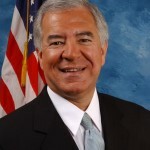 Rahall said the pressure is coming from both Republicans and Democrats. During the 2008 presidential race, Republican nominee John McCain came out in favor of ending mountaintop mining. â€œItâ€™s something thatâ€™s evolving over time in our industry and the responsible segment of our industry realizes that,â€ he said. This is Nick Rahall here — his district covers West Virginia’s southern coalfields, where mountaintop removal is going great guns. And he’s been a strong supporter of this destructive practice, though he’s lamented that mine operators don’t do more to develop flattened land, and that regulators don’t make them do so. Rahall’s comments raise a couple of questions. First, of course, is: If coal isn’t a long-term economic engine, as these comments suggest, then does it make good sense to blow up more mountains and bury more streams for short-term gain? Second, though, is what are policymakers and political leaders in West Virginia really doing to deal with the end of coal as a major economic engine — as the major economic engine in some southern counties? And some in the West Virginia media, like the Daily Mail’s editorial age, just keep rooting them on. See the Daily Mail’s editorial, Voices of reason on mountaintop removal, which says local political leaders should be the ones deciding how to enforce federal environmental laws governing coal mining. (Memo to DM: Read the legislative history of the federal Surface Mining Act. Congress specifically found that local political leaders were too likely to be corrupted by the mining industry, so they put the ultimate control over enforcement at the federal level. If we want to be a leader in renewable resources, we must commit to investing in the energy sources of the future. Throughout our history, our state has powered this nation.Â West Virginians know energy better than anyone.Â We must build upon our past successes and uncover even more efficient and cleaner energy sources. The most disappointing aspect of the governor’s “Alternative and Renewable Energy Portfolio Act” (SB 297) is that it is such a missed opportunity.Â Instead of offering a real renewable portfolio standard, it does a Texas two-step around it. SB 297 establishes a system of tradable credits for electricity produced by alternative and renewable sources. These credits will be used to meet the governor’s goal that by the year 2025, one-fourth of electricity sold to West Virginia customers must come from alternative or renewable sources. Credits are given for genuine renewable resources, which include: solar photovoltaic or other solar electric energy, solar thermal energy, wind power, run of river hydropower, geothermal energy, biomass energy, biologically derived fuel including methane gas, ethanol not produced from corn or biodiesel fuel, fuel cell technology, and recycled energy such as waste heat recovery. Credits are also given for projects that reduce greenhouse gas emissions and for energy efficiency and demand-side energy reduction initiatives. However, credits are also given for “alternative energy” resources for generation of electricity that include all of the following: advanced coal technology, coal bed methane, fuel produced by coal gasification or liquefaction, synthetic gas, integrated gasification combined cycle technologies, waste coal, tire-derived fuel, and pumped storage hydroelectric projects.Â Senate amendments added natural gas and nuclear energy. …Most states that include “clean coal” specifically limit it to facilities that include carbon capture and sequestration, or require that they lead to a reduction in greenhouse gas emissions. Some jurisdictions specifically exclude “pump-storage” hydropower facilities. By including all of these sources as “alternative” energy, SB 297 undermines the goals and justification for a bill in the first place – to reduce carbon dioxide emissions – and it creates a system that puts West Virginia completely out of step with every other state in the country. And if this is the path West Virginia (and other Appalachian coal states) choose, where will it lead us? I think my friend Rick Wilson, a social and economic justice activist who writes the Goat Rope blog, nailed it. …The good guys are a bunch of Appalachian Noble Savages standing as one against the evil coal companies. The assumption is that if the practice just ended today, everything would be great. I’m not that worried about the evil coal company part of this action movie frame (which kind of works in some cases) but the rest is over-simplified. While probably a majority of West Virginians oppose the practice according to the public opinion research I’ve seen, this is a contested issue all the way down. There are noble and ignoble savages and non-savages on different sides of the issue. There are no doubt people who work on mountaintop removal jobs who don’t like it deep down inside. And there are people who personally oppose it but accept it for economic or political reasons. Lots of people are conflicted to one degree or another for various reasons. The happy ending part is also over-simplified. I think the results for southern West Virginia are going to be tragic no matter what happens. If it goes on as it has in the past, there will be huge environmental devastation, water contamination, floods, coal-related health problems, etc., not to mention more climate change impacts. And if it stops, there will be some job losses and a loss of revenue for public services from coal severance taxes. *We need to start thinking in terms of the opportunities presented by the emerging “green collar economy.” Allow me to put in another plug for Van Jones‘ book of the same title. Many companies and public agencies are making more or less sincere noises about moving in a more sustainable direction. And there are public resources to support this emerging economy in both the stimulus package and President Obama’s proposed budget. There is also the possibility of using federal funds for reclaiming abandoned mines to create jobs aimed at mitigating some of the damage. *One of the more interesting efforts to rethink economic development around here is Create West Virginia. In some of their publications, they emphasize that in order to move to a high road creative economy, we need to focus on talent, technology, tolerance and quality of life issues. Here’s a question to think about: as we move into an economy in which creative and talented people will be able to work from anywhere, will the mined-out areas of southern West Virginia be anywhere anybody like that will want to live and work? *I’m convinced that it is possible not only to have meaningful climate change policies, but to use these to help low income people and as well as areas like southern West Virginia deal with the changes. A few years back, Robert Greenstein of the Center on Budget and Policy Priorities suggested that the auctioning of carbon credits in a cap and trade system could be used to raise revenue to ease the impact of such changes on low income people, state and federal budgets, and workers and communities in affected industries. The Obama administration has embraced some of these ideas, but these are facing an uphill struggle in the Senate. Sooner or later, something like a cap and trade system or carbon tax is likely to happen. It would be smart politically (in addition to being the right thing to do) for such policies to specifically provide assistance for those areas that sacrificed so much in the coal age. I was delighted to read Nick Rahall’s statement regarding the fact that coal is running out. “Peak coal” in West Virginia actually occurred between 1998 and 2001, according to mine productivity data. As for how many years of coal remain, all studies (including my own) support Rahall’s statement in showing that the most productive coal is running out. 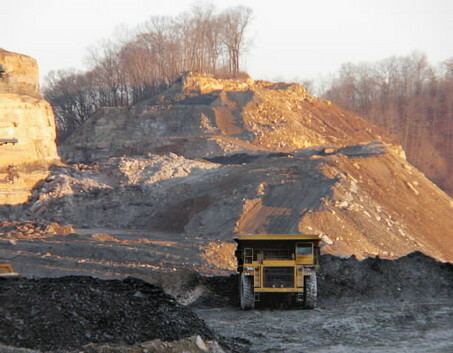 The United States Geologic Survey and the National Academy of Sciences both have said that Central Appalachia can maintain its current coal production for at most 20-30 years, and that as we approach that mark the social and environmental costs of extracting that coal will increase exponentially. What my own studies show, and I use data taken from the state and federal mine safety and health offices, is that only 5 counties in southern WV account for 50% of the total coal production in the state, and for 72% of the total coal production in southern counties. So these five counties serve as a marker for where WV coal production is headed. Four out of those five counties have all experienced declines in coal production since the 1997-2001 time period, without getting anywhere near their peak production levels since then. Only Boone County has maintained its production, and that has only been due to a dramatic shift from underground mining to surface mining. The other four counties have also shifted to varying degrees to surface mining. The scary part, given the state’s heavy dependence on the production in these five counties, is that they are all experiencing sharp and constant declines in mine productivity. This means a number of important things. First of all, mine productivity serves as the easiest way to determine what is happening with coal reserves, so a decline in mine productivity indicates that the economically recoverable coal is running out. The declines in production for each of the five counties has occurred even as the price of coal has quadrupled over the past 8 years (which should have led to increased production since demand also increased). So even price increases hasn’t saved these counties from production declines. Second of all, the decline in productivity, defined either as tons produced per miner or per miner-hour, when combined with the shift to surface mining, suggests that more and more surface area is being destroyed per ton of coal produced. That is also scary. What this means is as productivity declines, more land will have to be blown up in order to maintain coal production levels. Finally, each of the charts for production and mine productivity, when extrapolated into the future, suggest that the federal studies on coal reserves were a bit optimistic. From my charts, it seems that the five counties that WV depends so heavily on will all run out of coal – or rather, experience significantly lower production levels – within 15-25 years. The idea that we have 200+ years of coal left is only used as a propaganda tool. It is not based in any sense of scientific or economic reality. West Virginia will not be able to produce coal at levels anywhere near current levels for much longer. It is time to embrace and call for alternative forms of economic development, and to preserve the resources upon which such development will be based, such as the forests, the water, civil health and the wind resources. Otherwise, southern West Virginia is doomed to (relatively) permanent social and ecological devastation, and the loss of resources and the populace will result in a foregoing of any future economic activity in the MTR region. Thoughtful post, informative response — this blog is kickin’! The past generations of miners always mined the best (least expensive i.e. most productive) coal reserves first and left the rest for the next generation. That will always happen. Future mining will come from deeper, thinner and tougher conditions. The number of tons of coal resource remaining in the ground, including seams located below drainage, can be calculated. Predicting the economic viability of these coal reserves, that might be mined in 30 years or longer, is nearly impossible. Technology is one area that is tough to predict as well as government regulations, and future coal prices. It takes a lot of geologists, engineer and financial man-hours to project mine production and cost. I donâ€™t think you can do it looking at tables. Surface mineable reserves are certainly limited and underground mining in WV could last for a long time. Yes, 200+ years. Certainly other forms of energy can become cheaper and edge out coal. That would be progress in a capitalistic society. Historically productivity has declined during big increases in coal prices (as new miners had to be hired and trained) and when significant regulation or enforcements took effect. Recently we have had both and since COE permits have not been issued, operators have had to haul material further resulting in productivity decreases. This has also resulted in production decreases. Rory, it is certainly a coincidence that you have labeled 1998 to 2001 as â€œPeak Coalâ€ and that is when Judge Haden first ruled against surface mining and 300+ UMWA miners were laid off. Windmills may have hit â€œPeak Windâ€ in 2008 if it is suddenly declared illegal to kill birds with wind blades. I dont even want to imagine the social and environmental cost of mining below drainage. Federal studies back up what I’ve shown with my own research, and even Nick Rahall is acknowledging the reality that coal in WV will not be the economic force that it has been for much longer. Further, technology has already just about hit a peak with mining. Machines are now doing the actual work, and the only next step is for those machines to be automated, requiring no human labor whatsoever. From what I’ve heard from Coal Assn and UMWA folks, as well as from current and retired miners, you cant find a seam of coal over 5 feet anymore. So even underground mining seems to be limited. The same data that I made the referenced charts from shows that the decline in mine productivity is the same for both underground and surface mining. These declines have been constant, even during situations where the price of coal didn’t rise, and even as employment declined, not increased. Judge Hadne’s ruling against surface mining only impacted production for a span of two years. After the Bush Admin changed the Clean Water Act in order to undermine Haden’s rulings in 1998 and 2001, mine productivity still declined, even though surface mining actually went through a strong period of deregulation after that. So Peak Coal has nothing to do with the rulings. All of the trends shown for WV are also seen when analyzing the production, employment and productivity trends for all of Central Appalachia. Peak Coal can also be defined as the peak in the quality, or heat content, of coal, and that peaked even earlier than mine productivity, and since then, we’re burning more sub-bituminous and lignite coal every year just to maintain the same level of electricity generation. So I could have said that Peak Coal actually occurred in 1990, but I didnt, because sub-bituminous and lignite coal can still be mined. The data don’t lie, the declining trends in productivity have been constant, and neither employment nor price nor lawsuits have altered that. Which addresses the issue in some detail. The ACCCE does not have a very clean reputation for presenting the facts. Up until the USGS and National Academy of Sciences studies, the recoverable coal reserve estimates as cited by Cathy Coffey were based on research conducted in the 1970’s that used methods and data from the early 1900’s. The desire to update that data was one of the reasons that the federal government commissioned the USGS and the National Academy of Sciences to do their studies. So the results from the National Academy of Sciences and the USGS are now generally accepted as the standard for quoting the number of years of recoverable reserves that we have left. That was in 2001. So according to that quote, coal production in Appalachia might be maintained for just over one more decade. So unless we want to see the massive and widespread social and environmental impacts of our coal consumption be exacerbated, it is time to acknowledge the reality that coal is running out, and that we need to preserve the health of the citizenry and the viability of the natural resources (wind, water, soil, forests) that new and future industries will need to rely on. Mining, including coal mining, has been and is occurring below drainage. Apparently you donâ€™t want it to occur above or below. Everything that you consume is either grown or mined, so be careful what you wish for. Automation and technology advances in mining, as in any industry, are a good thing for society. You benefit from it everyday. Jobs are created in other sectors as the most efficient methodologies are rewarded. These advances also improve safety. Economics change. For example, mining today is taking place at sites that were previously mined by pre-law contour and auger methods. Past mining mined what was economical then and today there is mining of the resource that was left. These sites are being brought up to current reclamation standards. The point is that you can predict the economic coal reserves of the PRB in todayâ€™s world at 6% of the resource, but 94% of the resource may be mined in the future as economics change. Furthermore, currently there are seams being underground mined in the 30-36 inch range. Hadenâ€™s 1999 decision stopped a surface mine for more than 2 years. The resultant EIS COE permit took about 9 years to get approved. Also what has Goodwin and Chambers done to production in WV? These decisions and lawsuits have reduced production and decreased productivity, and caused great uncertainty and greater costs for the industry. Peak coal may have been reached in WV as you state but it would have been due to what has gone on in the courts more than your stated reasons. Production has shifted to the west and has been on a national upward path. I do agree that we need to develop a more diverse economy in WV and that the nation needs to develop alternative forms of energy. We certainly need to be less reliant on imported energy. 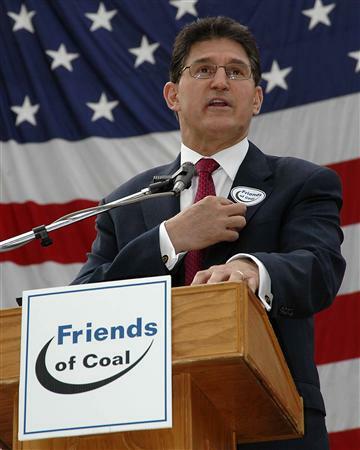 I think I understand your reasons for predicting the end of coal but donâ€™t underestimate the innovation of WV miners, and the need for a strong American economy. Coal has been and will be a part of the future. I’m okay with underground mining and nothing I’ve said indicates otherwise. I misspoke when I wrote about “below drainage.” I was thinking in my head “below river level,” which even if it is occurring, it probably shouldn’t be. I agree, tech advances are good. Advances in mining safety equipment and land stabilization tech’s, etc are definitely a good thing. Having machines destroying the earth are not. Using dynamite is not necessarily a technological advance. So my response here is that surface mining does not, in my book, deserve characterization as a technological advance, but rather a gross mechanization. That has little to do with economics as you’re describing it. Surface mining is cheaper, and the coal resource is dwindling, and that’s why they blow up mountains for coal now. Meeting demand by going after thin seams that cant be mined otherwise. Its not because the price of surface coal has increased, thus stimulating tech advances. Its because the price of coal has increased generally, and surface mining is the cheapest way of getting to the coal. Further, the Public Service Commission requires utilities to provide the lowest-cost source of electricity, while also meeting federal air quality standards. That’s why southern WV surface mined coal is in high demand, for now (coal is getting more expensive to mine and burn). No, they’re not. Less than 10% of post-SMCRA surface mined area has even been reclaimed. Less than 1% of the total have been reclaimed to current standards. And the area covered by these old sites as a proportion of a total MTR permit is negligible. Read Jeff Goodell’s book, “Big Coal.” In it, he shows that the seams being mined in the PRB are getting increasingly deeper, and that as this happens, the mining is becoming more dangerous as the highwalls become less stable. Eventually, the risk/costs will outweigh the profits, and even PRB coal will no longer be economical. Its like digging a hole deeper and deeper, eventually it gets harder to throw the soil out, and you might get buried trying. My stated reasons are based on facts and data. They aren’t classifiable as “reasoning,” but rather as “analysis.” It is possible to control for the legal impacts as I’ve done, and when controlling for those, the trends remain the same. Decline in productivity. Decline in production. And this has happened even as surface mine production has increased, which you would think would result in higher mine productivity. So in my professional opinion, based on the facts presented by the data, the lawsuits are not correlated to the productivity decline in any way. I dont see any way that surface mining can innovate, except, as I said, in the event that surface mining becomes completely mechanized. If surface mining was innovating, mine productivity wouldn’t be declining so fast. If economics led to greater production and productivity, then underground mining would be making a comeback given the fact that the price of southern WV coal had quadrupled between 2003 and last summer, but its not. The only economics and innovation happening with coal mining in southern WV is that as the price of coal skyrockets and utilities try to mitigate the subsequent rising costs of coal-fired electricity, surface mining expands. That is hardly innovation. You shoulda seen how fast they were mining Kayford Mountain last year when the price of C. App coal reached $140/ton. Somehow, that production wasn’t impacted by the Chambers ruling…. Nor was the production at the Edwight surface mine, or Hobet, or Twilight. And somehow, even with all of this litigation since 1998/2000, the counties of Boone, Kanawha, Logan, Mingo and Raleigh all experienced a dramatic production shift from underground mining to surface mining. So as I said, I believe that your economics are wrong, and that the data and the studies conducted by two federal agencies are correct. Perhaps at this point we can only agree to disagree. I realize you are often quoting from your masters thesis and that after reviewing it, you obviously spent considerable time in researching and writing it. And Iâ€™m sure that you want to believe in the conclusions that you have drawn. My experience with coal exceeds your life span and that experience coupled with my education are relevant to the points that I made. So Iâ€™ll stand by my points and Iâ€™m sure you will stand by yours. I have to point out that most of my points made in this discussion are not drawn from my master’s thesis, but from simple charting of available state and federal data. I am honestly flattered that you’ve read my master’s thesis though. I honor your experiences and I know they’re different than my own, and for that and other reasons I respect the points that you’ve made. However, the studies conducted by the federal government tend to agree more with my conclusions than they do with yours, and I only point that out as a matter of fact. I’ve enjoyed having this debate with you, and only time will truly tell who was right. I look forward to our next discussion.